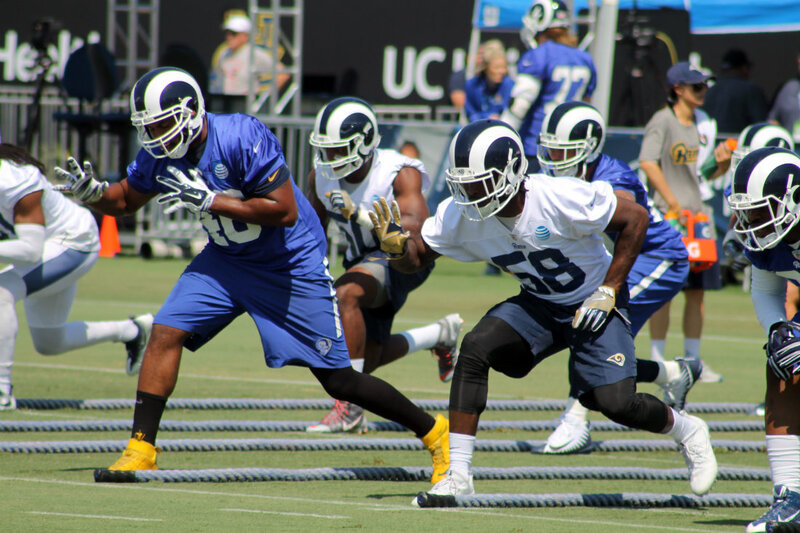 IRVINE, CA-Several days into the Los Angeles Rams training camp, the energy on the football field on the campus of UC Irvine can be felt on the sidelines. The pace of the practice is swift with crisp execution. There is little wasted motion during the two-hour afternoon practice on Monday, July 31. 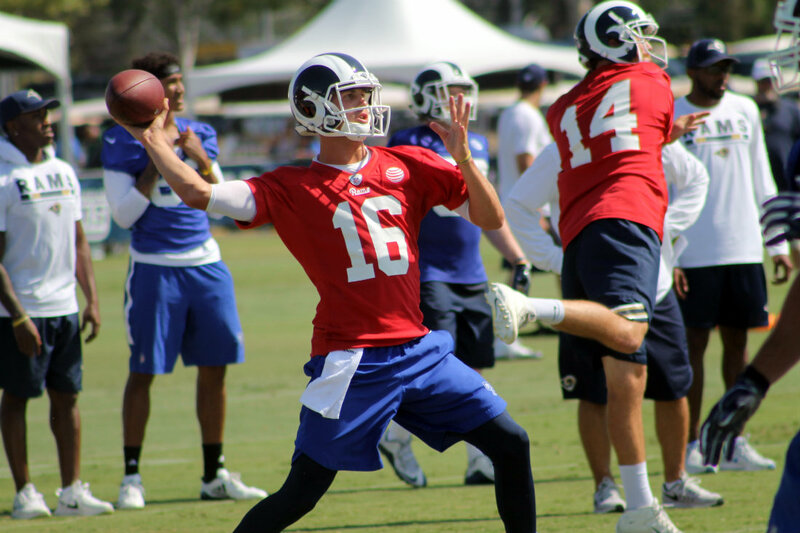 Second-year quarterback Jared Goff and the other quarterbacks on the roster go through throwing drills with precision. The defensive unit gets revved up as 7-on-7 competition gives players the opportunity to either hold on to their roster spot or earn one. Running back Todd Gurley looks goood. But the most impressive individual out on the field is head coach Sean McVay. McVay, the youngest head coach in the NFL, is all over the place, barking out instructions and acting as an illusionary defensive back as his wide receivers sprint up and down the field. McVay did an admirable job covering his wideouts. But he also had a slight advantage over his guys. McVay didn’t stop his hands-on activities with his wide receivers. He also had some fun going after his quarterbacks as a speed pass rusher. 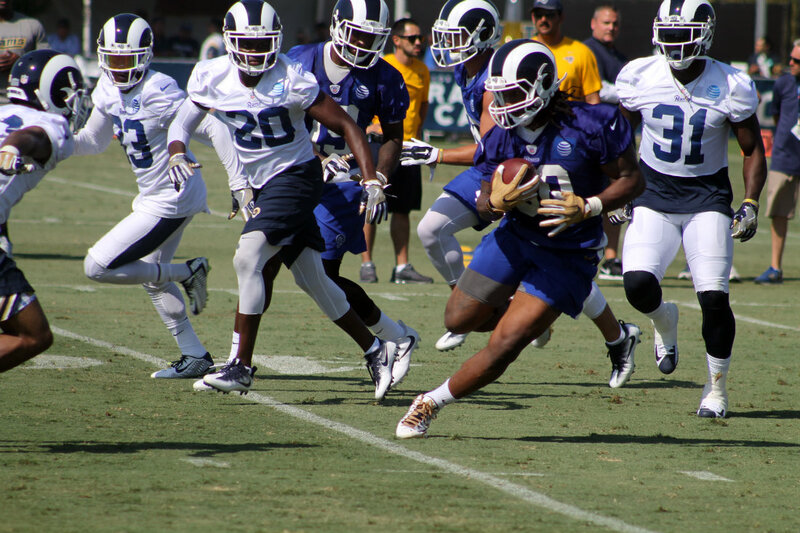 “It is just fun to move around out here with the guys and kind of be interactive and try to give them a look to where you are just trying to match and have somebody just running with you, but the guys have fun with it,” McVay said. That energy seems to be contagious. Watching McVay move around effortlessly in calling out plays for his offensive unit, it is easy to see why his players roam the football field with high-octane enthusiasm. That just might be the key to the team’s success this season. Success is something the Rams didn’t experience much of in their initial season in Los Angeles. The Rams recorded a 4-12 mark last year. More importantly, Los Angeles posted a 3-9 NFC West conference record. Goff and Gurley have the keys to the Rams offense. But the engine that could be critical in jump-starting the team’s fortunes in 2017, lie in the hands and feet of the Rams receivers. The group, which includes veterans Tavon Austin and Pharoh Cooper, don’t have a player on the roster older than 27.